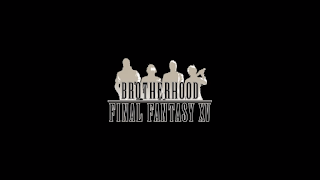 Moving on from my temporary absence and complaints about Internet issues, it's time for episode 3 of Brotherhood. As you can probably guess from the name of the episode and who is yet to have a backstory (and from my attempt at something funny at the top of the post), this one is about Gladiolus. He's Noctis' bodyguard and close friend, and how their bond strengthens is quite a good one. Sword and Shield continues on with the group's adventure and brings in more action than was in Dogged Runner, which balances things out nicely. More of everyone's battle styles (Prompto doesn't show up much but go Ignis!) as they fight a monster you see in Episode Duscae. Reminds me of the Popos from Monster Hunter. But I digress, because whilst they do this the Empire's Army finds them and everyone has to get ready to battle them too. The battle at hand brings about the flashback when Noctis challenges Gladiolus, and their initial encounter isn't as sweet and cheery as we see them during battle. Without spoiling too much for you guys, Gladiolus basically hates Noctis' stuck-up nature but has to deal with it because it's his job as the King's Guard to protect the little Prince, just as his father was to Noctis' father King Regis, who we also see in this episode. Nice to see everyone gradually showing up, but that's not the only side to Gladdy we see. Turns out he has a younger sister called Iris who pretty much takes all the focus in the episode which given what she does (I shall not spoil) just makes the relationship between Noct and Gladdy more sour but does eventually become a good one. So I hate you Iris but thanks for doing what you did I guess. Who agrees with me on this? Sword and Shield ties in nicely with the other stories, and is different since the main character (Gladdy) doesn't have much of the focus but the events that play out have a significant effect on him and his relationship with Noctis. I've probably said this in every episode review so far, but it's nice to see how each member of the group bonds with Noctis, and after Ignis it'll be cool to see how they all bond with one another as they grow up. My guess is we'll see this next month with a final episode in September before FFXV is finally released worldwide. Square I'm liking you're timing. 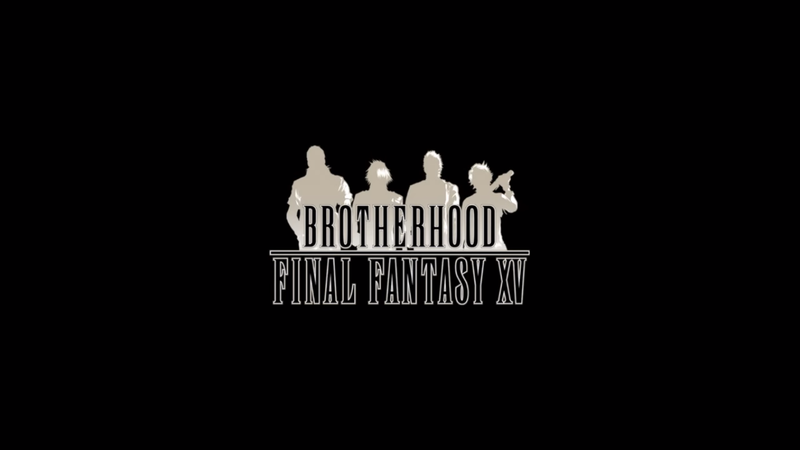 Until then, Brotherhood is good rewatch material, which I will do when the next episode is out and recommend to all of you.